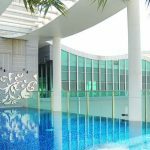 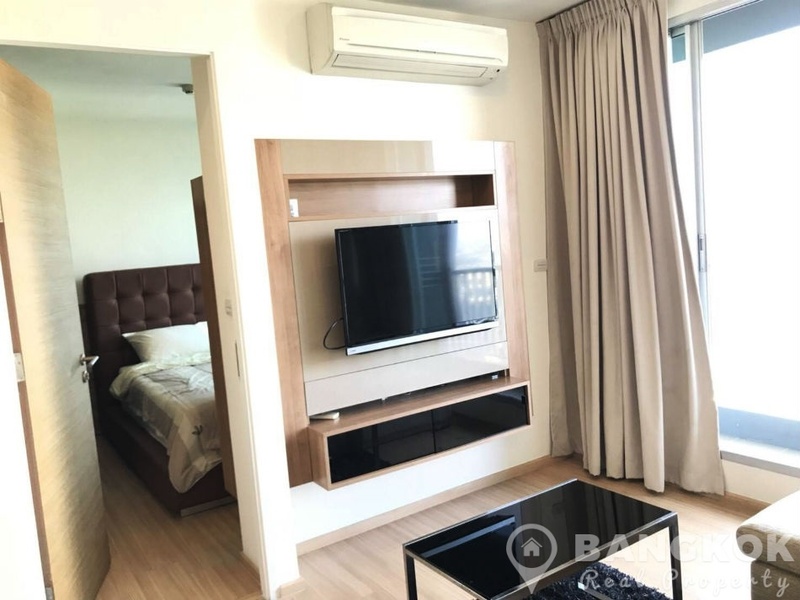 A modern, 1 bedroom condo is currently available to rent at Rhythm Sukhumvit 50, conveniently located on Sukhumvit 50 and just 3 minutes walk to On Nut BTS station, Tesco Lotus and the new Century Move Plaza Mall. 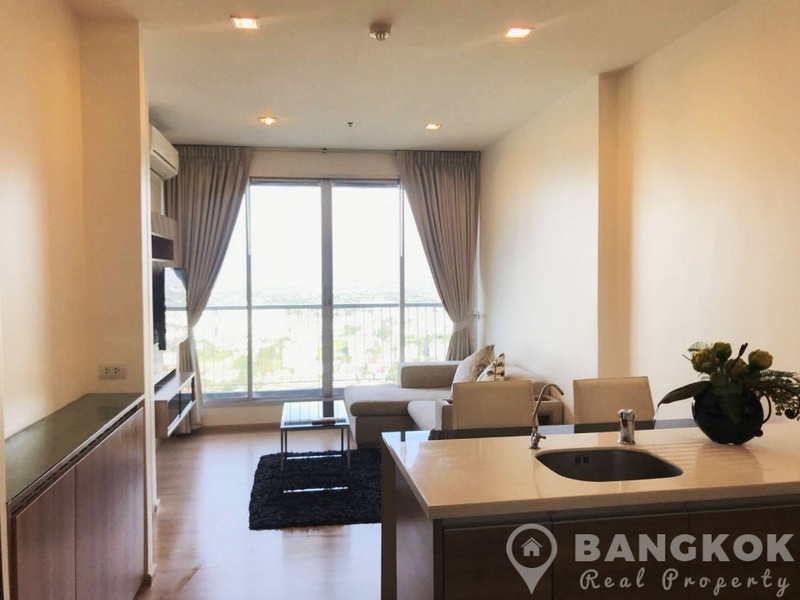 This high rise development built by AP Thailand in 2013 offers residents easy access to all local amenities including Tesco Lotus, Big C Center, On Nut Fresh Market, several international schools including Wells and Bangkok University and for any golfers the 42 T-Off Golf Driving Range. 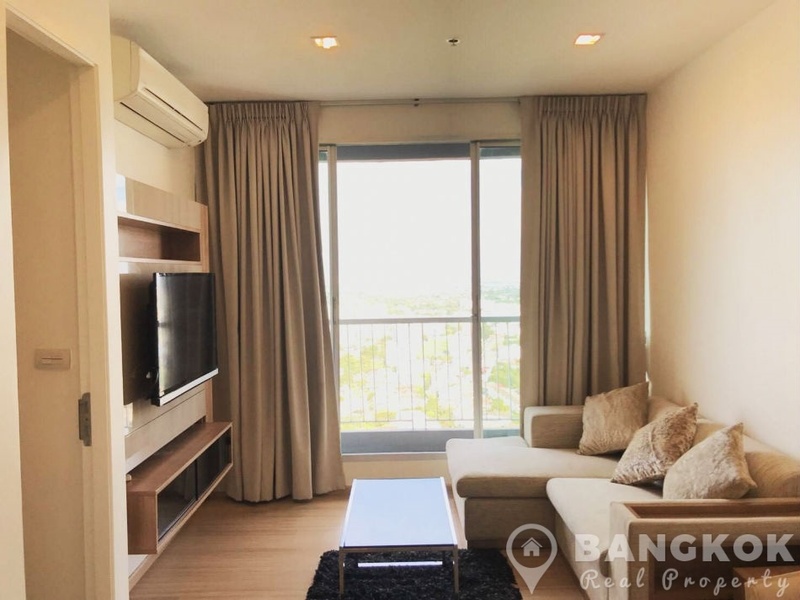 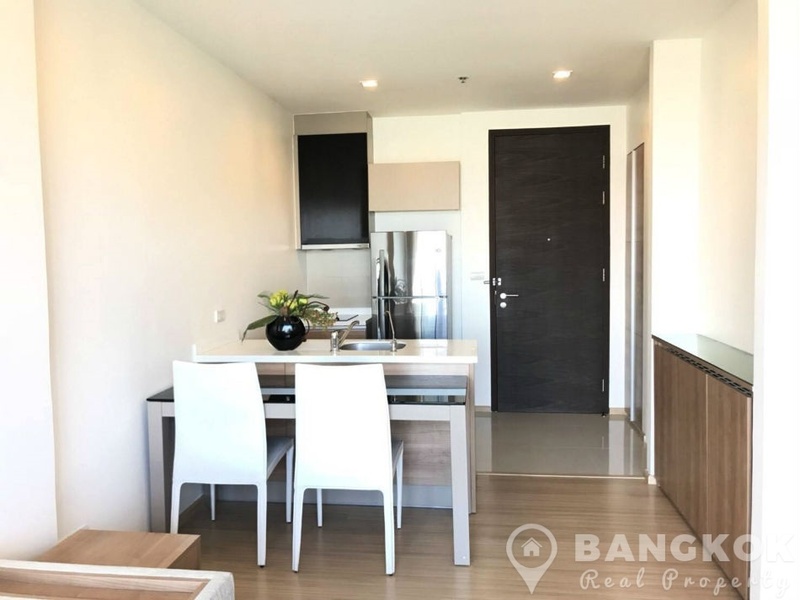 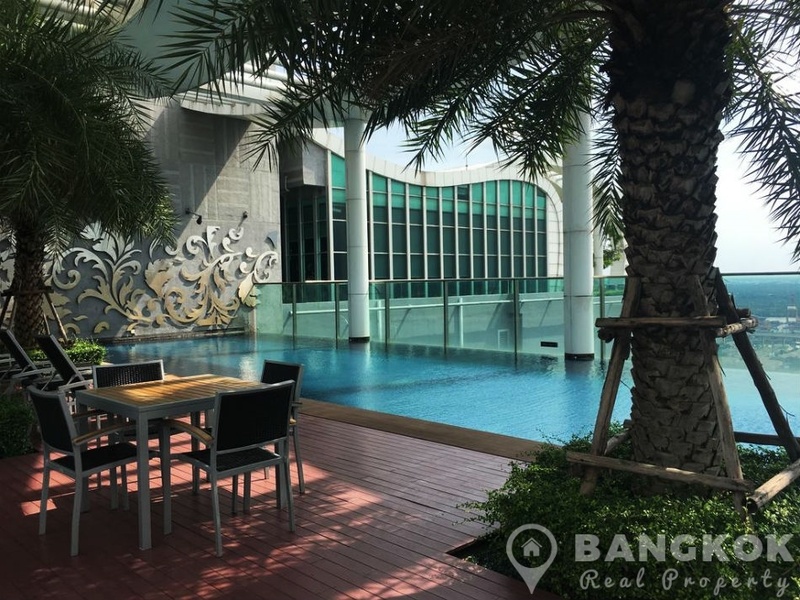 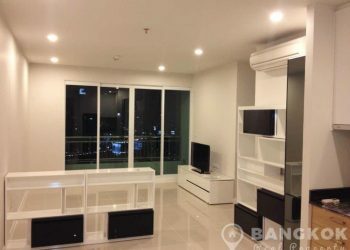 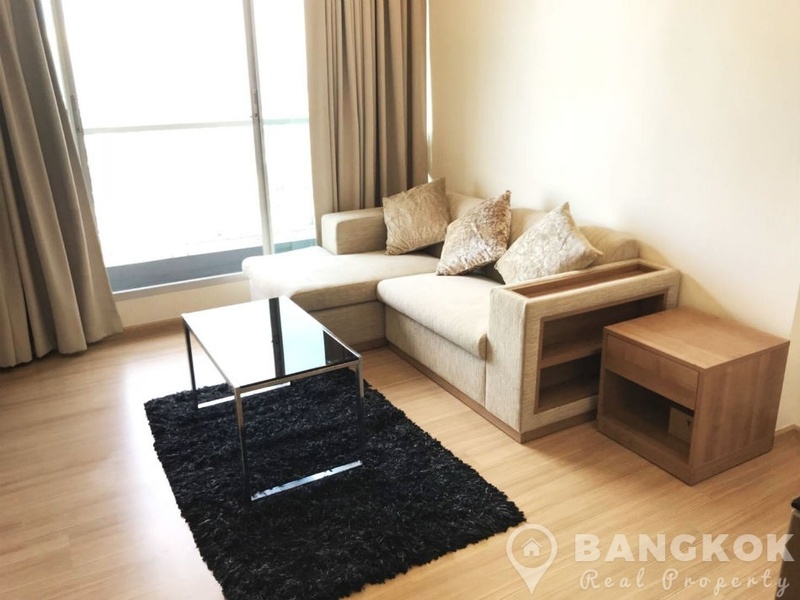 Situated on high floor of Rhythm Sukhumvit 50 with fabulous city views, this modern condo has 1 double bedroom, 1 modern bathroom with power shower and 45 sq.m of living space with a balcony. 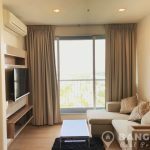 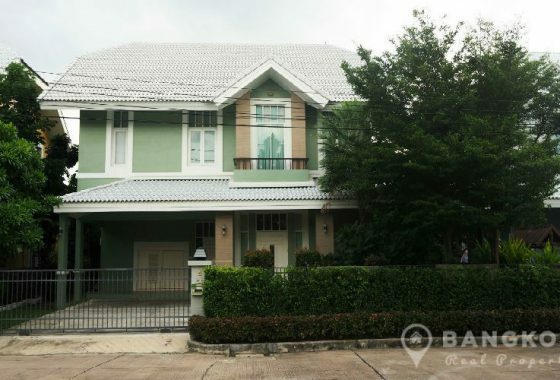 The condo is fully furnished in a modern style with wooden floors throughout, LCD TV in the livingroom, open plan livingroom – kitchen with modern fitted kitchen, electric hob and extractor fan, fridge-freezer, washing machine. 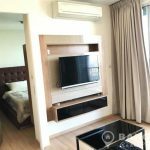 The bedroom has generous storage space. 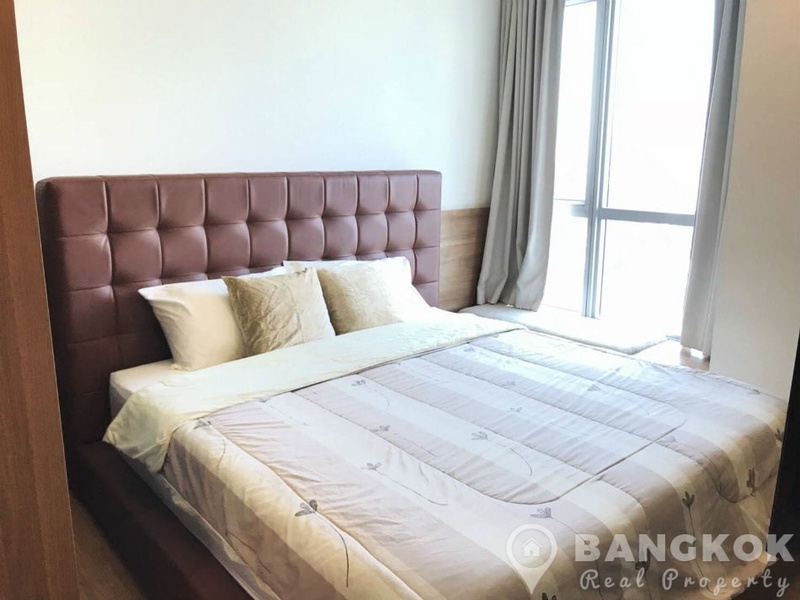 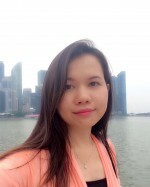 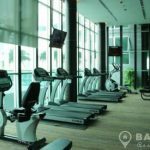 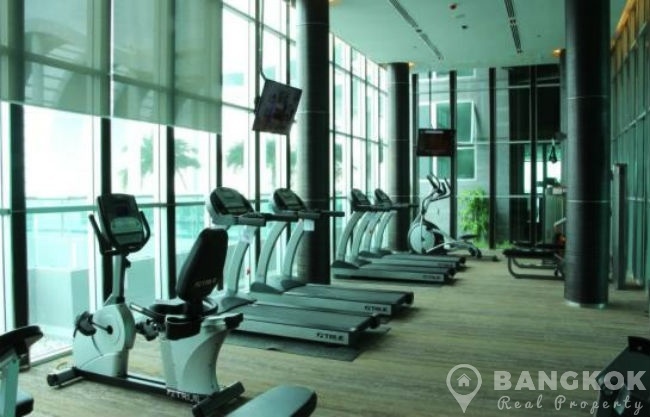 Rhythm Sukhumvit is a condominium project, developed by AP Thai, located on Sukhumvit 50 in the heart of On Nut just 3 minutes walk from On Nut BTS station. 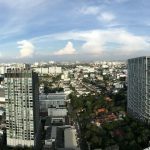 Construction of Rhythm Sukhumvit was completed in 2013 and the project consists of 1 building with 37 floors with 587 units, a mix studio, 1, 2 and 3 bedroom units.